Minecraft Story Starters - Free! You are here: Home / Elementary / Minecraft Story Starters – Free! Minecraft Story Starters – Free! 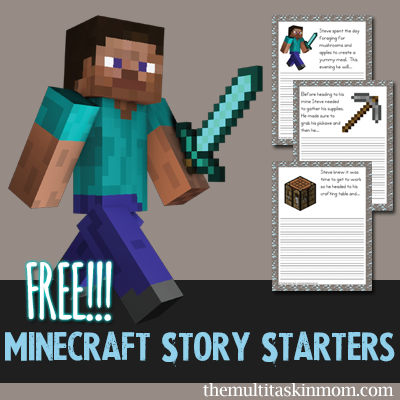 The Multi Taskin’ Mom has a free set of Minecraft Story Starters for your young Minecraft fans! This set of story starters includes over 20 writing prompts and also includes a blank page if needed. Use with a variety of ages!